The Silver Comet Trail is one of the most popular multi-use paths in the state of Georgia. Converted from old railroad tracks once utilized by the Silver Comet train, the path extends all the way from Smyrna into the state of Alabama via the Chief Ladiga Trail. But most of the joggers, walkers and bicyclists utilizing the trail don’t realize it isn’t completed. On the Smyrna end, the otherwise flat trail takes a right-angle turn and heads up a steep hill, curving around a neighborhood and coming to a dead end in front of the Publix at the intersection of South Cobb Drive and the East-West Connector. Needless to say, the original train tracks did not follow this path. Instead, the tracks continued into the city of Atlanta, connecting with the region’s vast network of railroad tracks. And for years, a group called Connect the Comet has been advocating for the completion of the trail, which could take users all the way into the city of Atlanta and ultimately connect with the Atlanta Beltline via the same path. The group’s website, ConnectTheComet.org, includes a petition which has generated more than 3,650 signatures. The petition is scheduled to be delivered to both houses of the Georgia General Assembly, as well as Georgia Governor Nathan Deal. The Silver Comet Trail currently spans 61.5 miles, and more than 2 million people utilize the trail each year, according to the Georgia Department of Transportation. Connect the Comet estimates that linking the two trails could double the Silver Comet’s economic impact and boost property values by 4 to 7 percent. The group has a number of major backers, including the PATH Foundation, River Line Historic Area and Mableton Improvement Coalition. On the eastern side, three miles of new trail would link to the Atlanta border, and three more would link to the Atlanta Beltline. The group also attends community events, such as the Smyrna Village 10K, promoting their cause, and runs dedicated Facebook and Twitter pages. Cook pointed out that various cities, including Powder Springs and Smyrna, have built connectors to the Silver Comet, because once connected it’s easy to travel long distances. 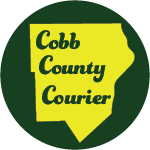 She likens the potential for connecting the Beltline with the Silver Comet to the construction of the I-75 and I-285 intersection in Cobb County. The train tracks wind over and under existing bridges that cross I-285, Atlanta Road and the Chattahoochee River, meaning much of the infrastructure is already in place. Some of the tracks closer to town were still being utilized by CSX Transportation when the original trail was converted between 1998 and 2008. That is no longer the case, and some portions of the track are almost completely hidden by overgrowth, while others have been paved over with asphalt and still others have been maintained to the point they appear as if a train could roll over them with no problems. But the owner of the tracks, CSX, has been far from responsive. 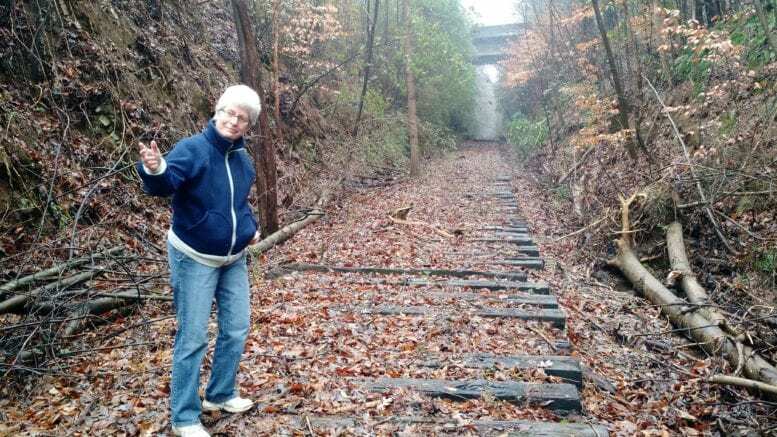 Angel Poventud, an Atlanta Beltline advocate and CSX engineer, estimates the railroad might demand between $20 and $30 million to sell the property, based on sales of railroad property in the past. He emphasized he was not speaking for CSX, but was giving information based on his experience. But Connect the Comet and the PATH Foundation have not been able to establish a connection with the railroad company, which maintains a tremendous amount of power, to discuss a sale. In the last few months rails have been removed from portions of the track and vegetation has been cleared from other portions. There’s no way to tell if this is an indication of movement on the property, but McBrayer said the removal of rails at least indicates the tracks probably won’t ever be used for trains again. “I guarantee you if tomorrow CSX said ‘we’re willing to abandon it and sell it,’ then between my track record for getting things done and the willingness of all the government entities and the citizenry at large, we’ll figure out a way to get it built,” McBrayer said. The group’s next meeting is set for Jan. 22 at 4 p.m., though the location is to be determined. To sign the petition for the completion of the Silver Comet Trail, visit ConnectTheComet.org.